We haven’t had rain in a while; the brook was low and the forest floor dry as tinder. 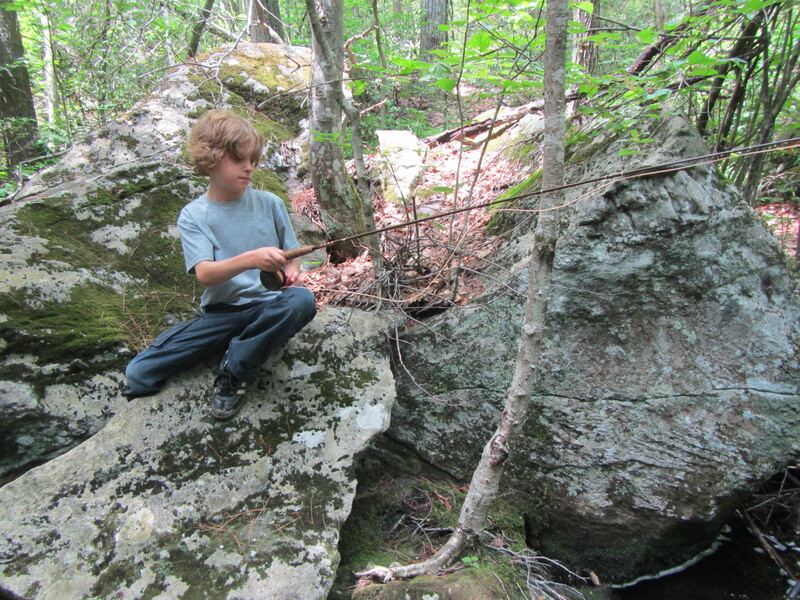 Still, I found a spirited rivulet of groundwater that wended down the fall line before tumbling over a mossy ledge. 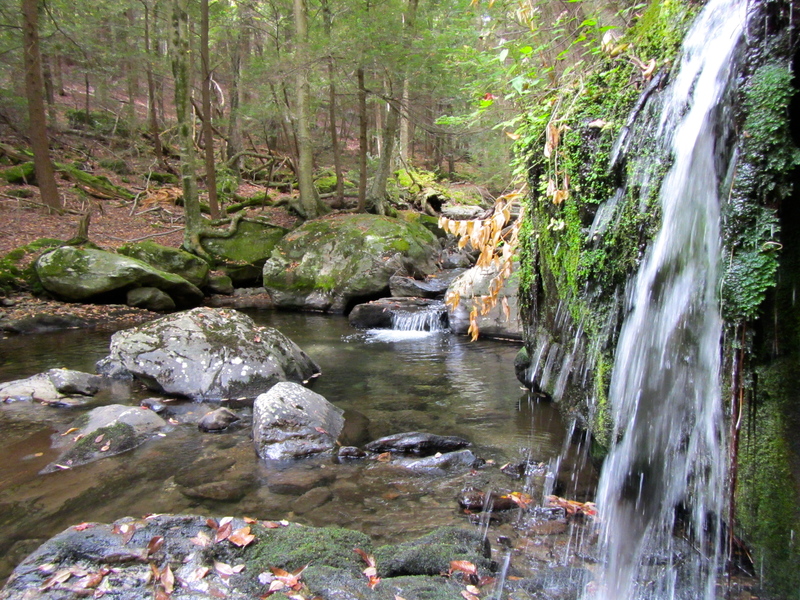 When the water is this clear and low, the brookies tend to stay in the darker, deeper sections — or in the whitewater just below that miniature waterfall next to the moss-covered boulder. 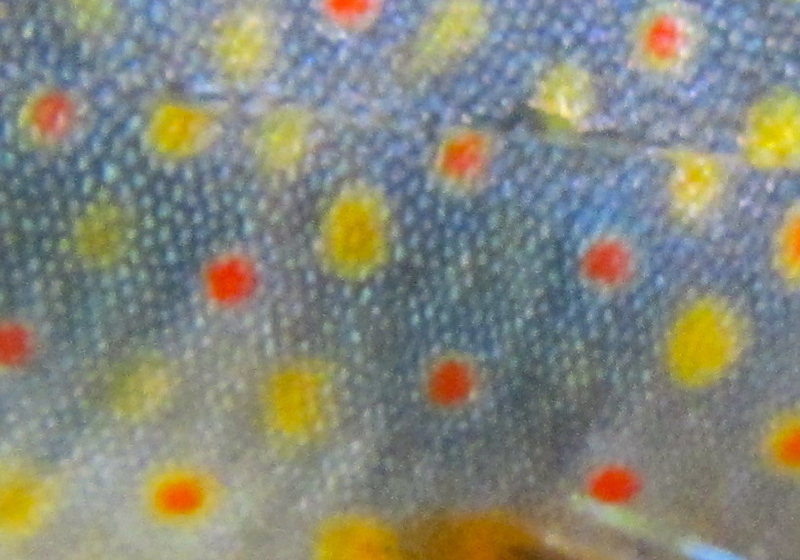 Vibrant red spots ringed by blue halos adorn an eastern brook trout. 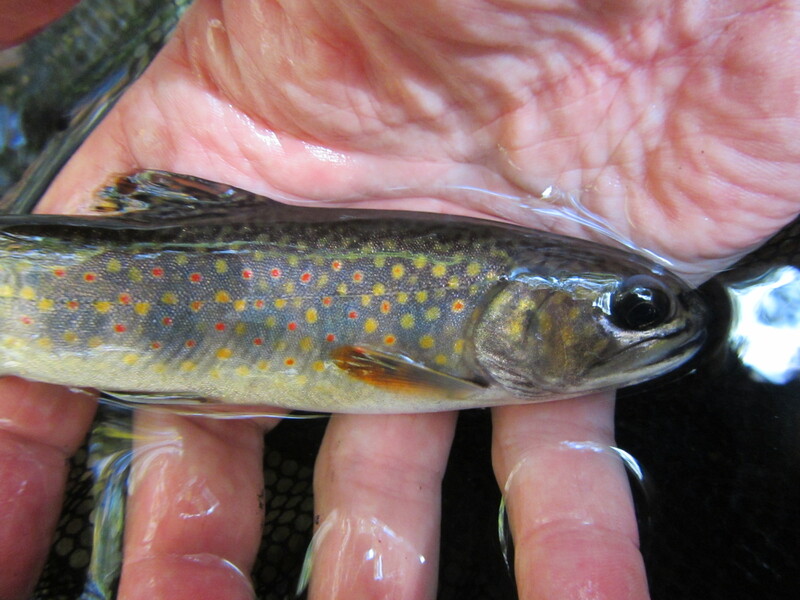 Brookies are the only trout (technically, they are char) native to much of the eastern United States. Fall is living up to its name. The deluge of soon-to-be-ex-flora has already begun in the hills. Fishing-wise, the leaves weren’t really an issue; I only hooked a few here and there. I was looking for photo ops when I glanced down at my feet. 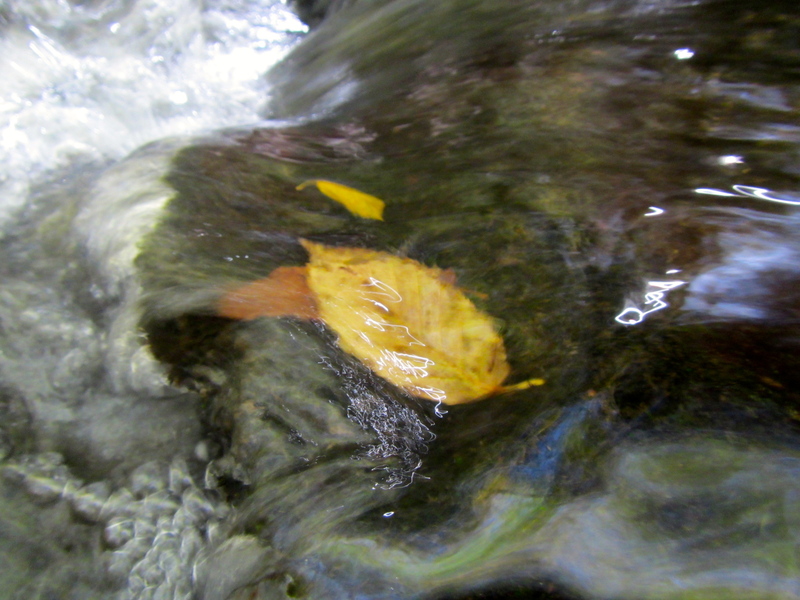 I was struck by contrast of these two leaves against the rock, but what really captured my fancy was how, in that swift current, did they manage to find a toehold — and how are they able to so stubbornly cling to their perch? A lot of people don’t know this, but Vincent Van Gogh was an avid fly fisherman. He used to jet from his estate in Holland to his cabin in the Appalachian foothills, where he could pursue his passion: fishing for Salvelinus fontinalis. The flank of the brook trout is said to have been Vincent’s inspiration for his masterwork Starry Night. Well, at least that’s what I heard. Fishing notes: Water was 56 degrees. Not surprisingly, most of the fish I pricked came from deeper holes, dark runs, and plunge pools. I found one abyss where there was a bona fide lunker (for this size stream) of about 11-12 inches. Pricked him twice, but couldn’t get a good enough hookset to close the deal. I tried for over a half hour, and in the end decided that that fish might be responsible for populating hundreds of yards of brook — and with spawning season so close, would be better left uncaught. I fished mostly downstream. Dry fly was a size 16 Improved Sofa Pillow; wets were a cornucopia of bead head soft-hackles. Cigar was an Aroma de Cuba Reserve maduro Churchill.